Most of us want to develop with quality. We want to create things that are really good, that work well, and that delight users and customers. In order to do this, we come up with a number of practices, rules, policies, and other tools to ensure we stay on a good path. While all these can help us, they can also cause us to lose focus on the real goal. “You get what you measure”, is a common saying, one that also means that if you measure X in order to get Y, you will receive X but not Y if you push the measuring hard enough. What I would like here, is to encourage you to take a step back, think about what you are doing and why. Is the thing that you are doing helping you reach “good” or just “done”? Are you improving the system or just extending it? Another way to put this, I want us to work on realizing a vision rather than a requirement specification. Everyone from developers and testers to architects and project managers should know and care for that vision. They should also have mandate to try their best to realize it. As an inspiration, this is the “requirement specification” that Michelangelo received for his frescoes in the Sistine Chapel. and as an inspiration and lesson to his people. 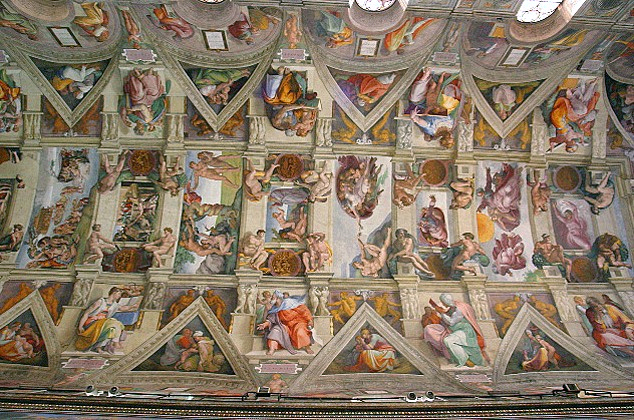 He did also receive a few suggestions for motives, but the above quote was the vision that Michelangelo was asked to realize. I think we can agree on that the result was more than “ok”! Unit testing friendly code is code that has enough complexity and few dependencies. Therefore I would like to talk about a technique for massaging your code in that direction. Let’s say we have an important class with both high complexity and many dependencies. It is really in need of unit testing because of its complexity and importance, but is hard to isolate properly. Trying to unit test such a class typically leads to long tests that are hard to read and maintain, and that need a lot of complex set-up. This is my “go to” method for handling this kind of situation. Extract the logic – move the pure, (mostly) dependency free code which performs the actual functionality of the system out into separate units. Unit test these new units as much as you want. What’s left is “glue” – the original code is now a “web” of dependencies that wire various units of logic together to perform what the user wants. Use integration or system tests to test this wiring. Improve the tests – write, modify, or delete tests as needed. The result is code that follows a pattern that I call Logic+Glue. Now, we will go through these steps in some more detail. Of course, simply “extracting the logic” isn’t quite as simple as it sounds, most of the time. As a help, here is a general outline of the process I use to do it. Inline current methods into one large method. Do this within reason. If a method is recursive, or already dependency free, it might be better left alone. Extract local variables for all method calls. Each method return value should be assigned to a new variable. We do this in order to make it clear what data is actually used in our code. Treat any non-locally created data as dangerous. This includes constants, static fields, instance fields, parameters, as well as any object returned by a method call to such an object. These “dangerous” variable assignments are what will become the “glue”. Try to make all local variables final. The following steps will be much easier if variables are not reassigned. For the same reason, the method should have as few return points as possible. Extract blocks of logic into methods. Look at the code – whatever is not “dangerous” variable assignments is the actual logic. Look for for loops, if statements, blocks of non-dangerous local variable assignments, and so on. Such a block should not contain any of the “dangerous” variable declarations (but may use the variables!). 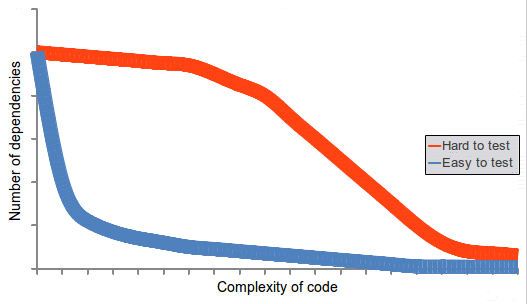 Generally, we want as large blocks of code as possible that use as few variables as possible. Also, the more primitive (as in, using primitive data types) the interface is, the better. Use the “Extract Method” refactoring feature of your IDE to “preview” potential methods. Experiment, extract, inline, and extract again, until satisfied. Move methods of logic into new classes. Look at the newly created methods. They should now hopefully contain “meaty” logic but few or no references to class variables. If you realize, by looking at such a method that it would naturally fit in an existing class, move it there. Especially, see if it could fit in one of the parameter or instance variable types. Otherwise, create new classes and move a method, or a group of related methods, into it. Try to turn any static methods into non-static methods on the new class. Refactor and clean up. While doing the above steps, the code may get a bit messy. Now is the time to clean up the code you’ve extracted. Feel free not to follow these steps if you feel you have a better way to do it, they are simply meant to be a help to get started. Whatever code that is left in the class you started with becomes the glue. Ideally, this is now nothing but a bunch of the “dangerous” variable declarations and some calls to your newly extracted methods. 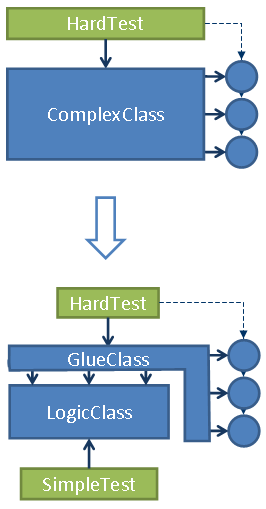 Refactor and clean up the glue code. Feel free to inline some of the variables or extract methods if it improves readability. The glue initially has the same interface as the old complex class. You can change this if you see room for improvements. One way to verify how well we managed to extract the logic is by looking at the import statements of the glue class compared to the logic classes. Most of the import statements should be in the glue code, often from multiple different packages, whereas the logic classes should have rather short and homogeneous import sections. Finally, it is time to look at the tests. You have two primary strategies, which can be combined if wanted. Write new tests. If you did this refactoring because the tests original tests were bad or non-existing, go ahead and write better ones for the newly extracted logic. Keep the old tests. If the old tests worked well, you can choose to keep them since the glue is acting as a protecting layer between the logic and callers. They then become slightly higher-level unit tests where the “unit” now is a group of classes rather than a single class. Working with a large code base, you get to see many different styles of unit testing. One of the aspects that I find interesting is the naming of the test methods. Below are some examples of styles that I often come across. For the example, I use a hypothetical parser which is given an empty string as input. While all of these have their pros and cons, my primary objection is one they all share – they don’t tell me what should happen! They are as informative as writing assertEquals(actual) rather than assertEquals(expected, actual). I want to see something along the lines of these. These variants tell me not only what the stimulus is, but also the expected outcome. I want it both. Stimulus and response. Input and output. Initial state and resulting behavior. Another way to see it is that the tests become a requirement specification for the implementation. One could actually write the corresponding implementation code based on the latter test names, try doing that from the first ones. Alice writes a failing test, and hands the keyboard over to Bob. Bob tries to make the test pass with as little code as possible. Bob writes a new failing tests, and hands the keyboard to Alice. Alice tries make the test pass with as little code as possible. Refactor now and then, as necessary. This is also a very good way to teach test-driven development. That is, what a method does should be expressed clearly by its name or signature. The details of how this is done should be hidden inside the method’s body. Finally, the reason why the method was called should be given by looking at the caller. Throwing a low-level or vendor-specific exception from a high-level class, such as an SQLException from an entity manager or repository. Unnecessarily returning a concrete implementation of an interface, e.g. ArrayList instead of List. Excessive use of getters and setters, allowing the caller to “directly” modify the object, rather than providing methods to perform whatever the clients actually need. This basically comes down to the principle of information hiding. In the above examples, the implementer has failed to hide implementation details from the caller and as a result it will be harder to change these methods’ implementation without also changing their signatures or callers. Another common, although perhaps less so, problem is mixing what and why. I don’t think neither the method’s name nor body, should say attempt to answer the question why. That is, neither should not contain a reason, purpose, or justification for using it. Letting a method specify why it should be called needlessly limits the applicability of the method and makes it less reusable. Different callers may use the method for different purposes (within reason) and that is perfectly fine. A method should just perform an action and let the caller worry about the reason for doing so. A great example of the what and why separation, is the stack trace. Looking at a stack trace should in theory allow one to completely understand what is happening in a system. We know what was supposed to happen by looking at the currently executing method’s name and the exception. By then following the names on the stack all the way back to the root, a good stack trace allows us to understand why each step in the chain was taken. This actually applies to every level of the stack trace.